You might remember me speaking about working with the Road Safety Authority on an upcoming campaign. 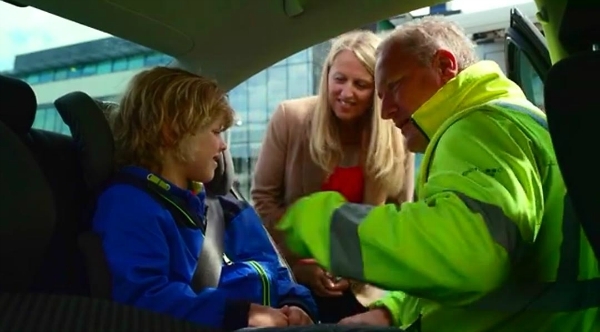 Having worked as a Road Safety Officer for 7 years (cue Michael Caine’s ‘Not a lot of people know that’) I knew we’d be a great fit to share some road safety information with a particular focus on child safety that’s not always common knowledge. In a time when we're savvier than ever about our children's safety the fact still remains that the greatest danger they face daily is as passengers in our cars. Luckily initiatives like Check It Fits from the RSA exist so that we might make more informed decisions about road safety and make the best choice possible when it comes to keeping our little ones safe. It can feel like a daunting subject to discuss serious injuries and fatalities by way of road traffic collisions. But the aim of the RSA, the Check it Fits initiative and this particular social media campaign is to give the power back to you. To equip you with the right information to get your child the right protection in the car; to take away the guess work so that you have one less worry in your day as a busy parent or guardian. Lord knows we have enough of those already, right? The first step in ensuring your children’s safety is in choosing the right car seat for your needs. That means one that not only suits both your child’s height and weight - but also your car. It’s worth noting that, unlike most purchases for our children, car seats are not judged by the age of the child but by their height and weight to ensure the safest possible fit. 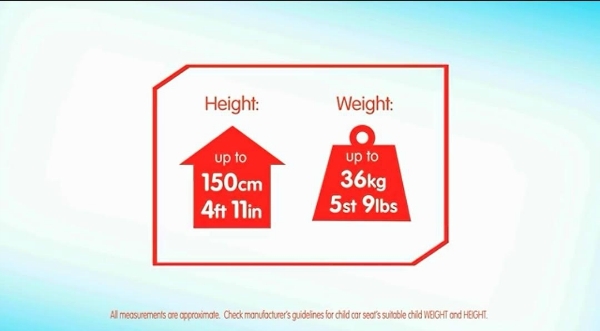 Height & Weight Requirements for Child Seats. Children below these parameters must have an appropriate car seat. Despite our best efforts in buying a top of the range car seats, all that is for naught if the seat doesn't suit the child’s needs or is incorrectly fitted to the car. Astonishingly 4 out of 5 car seats are not fitted correctly; which is hugely worrisome, considering a properly fitted seat can reduce the risk of injury or death in rear facing seats by up to 95%*! 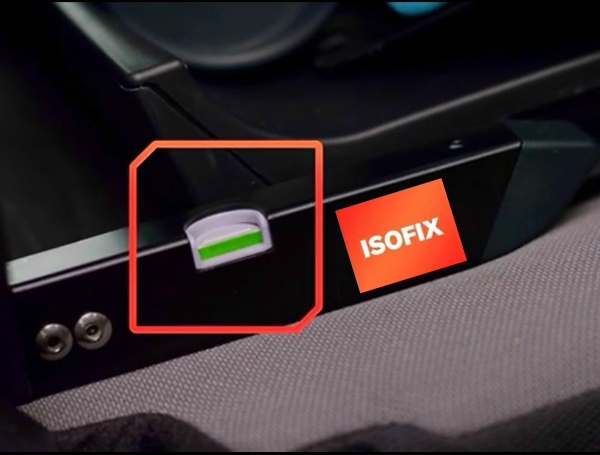 IsoFix is one of the safest systems available for attaching child car seats, guaranteeing protection for your child. IsoFix is standardised worldwide and was developed in partnership with the automotive industry. Almost all new cars are fitted with the IsoFix system. We'll discuss in more detail in the next installment exactly how and why ISOFIX are the preferred type of child car seat. In a digital age it is ever more tempting to buy our car seats online but, unless it is an ISOFIX compatible seat there is a high probability you can go wrong. There are exceptions of course; should you have done your research as outlined above, weighed and measured your child and checked the compatibility between the seat and your car - it is possible to correctly fit your car seat. In which case I couldn’t recommend more using the free Check It Fits service to guarantee your child is in the safest possible position. 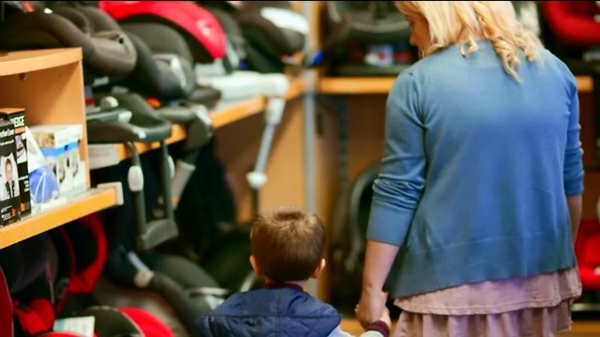 Buying a second hand car seat can be a risky business unless you know its complete history. Again the temptation is to save money but the likelihood that the seat will be safe and suitable for your needs is minimal. There are many risks associated with buying 2nd hand eg no instructions, not sure about compatibility with child / car, missing parts, broken etc. The saving of a couple of euro really pales in comparison when looked at in the context of saving a child’s life or preventing serious injury in the event of a road traffic collision. 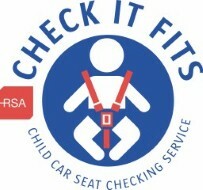 When fitting a car seat yourself, the first concern is seat belt placement and tension once the seat is secured. The seat belt should not be twisted as it anchors the seat to your car; this twisting can lead to a slackening of the belt and put undue pressure on the buckle in the event of an accident. The seat belt should be taut and tight once the seat is secured. Another indicator to look for is ‘Buckle Crunch’; this happens when the belt buckle is holding the seat in place rather than the webbing of the seat belt. This too can lead to pressure on the belt buckle but in the event of impact can also cause the belt buckle to snap open, releasing the seat and its precious cargo entirely. These are the basics for purchasing and fitting your child’s car seat. I think it’s appropriate to mention that while it’s second nature to protect our little ones, child restraints aren’t a matter of choice any longer, they’re a legal requirement. As the slogan goes ‘No Car Seat – No Excuse’. If you would like any further info you can visit RSA.ie. Like them on Facebook or pop me a comment below or on Twitter. And do let us know what you think of this initiative! If anything it's made me genuinely miss my time working in Road Safety. Tell us are you in the market for a new car seat? Would you have known the basics above when it comes to purchasing and fitting? Any questions relating to anything you’ve read? Let’s get this very important conversation started!